Somewhere in an alternative universe The Muppet Show as we know it does not exist. 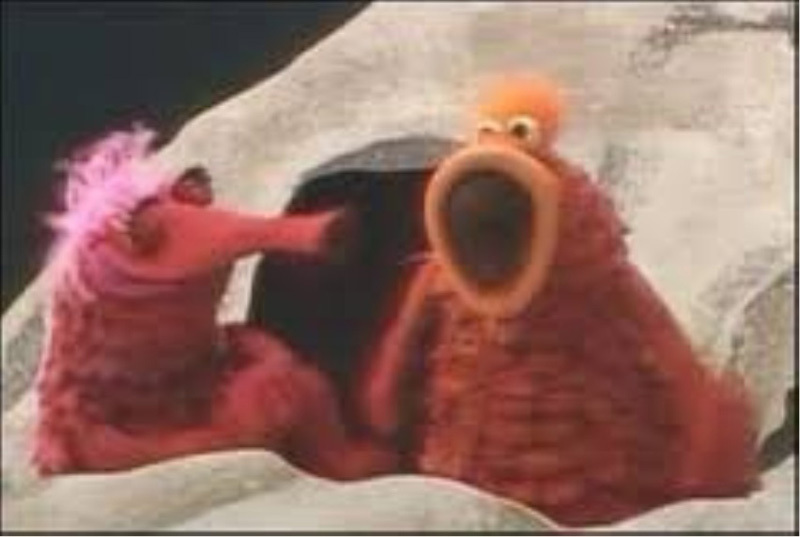 Animal does not chase after women, Miss Piggy does scream “hiyyyyyyaaaa!,” and Statler and Waldorf do not sit in a balcony begging for the show to end. Instead, there is a living room set where George the Janitor ceaselessly mops, a purple curly haired Mildred plays the piano, and Wally wears his sunglasses as he types stage directions moments before they occur. It is hard to think of a Twilight Zone world without the classic Muppet Show, but this is how television history would have been written for Kermit and his troupe had The Muppet Valentine Show, a pilot Jim Henson developed in hopes of starting a new series, had been picked up by a network. In 1960 Henson first started developing a show entitled Zoocus which would include some of the same elements that would eventually transform into the format of The Muppet Show. Zoocus would showcase a different celebrity guest star each week and would follow the antics of a Muppet cast led by Kermit. It would not be until 1968 that Henson would seriously try to sell Zoocus. As Sesame Street skyrocketed to fame, Henson found himself and his characters pigeonholed as an act only for children. He longed to entertain the entire family with his Muppets. Finally, ABC gave him the green light to create the pilot of a possible primetime series. 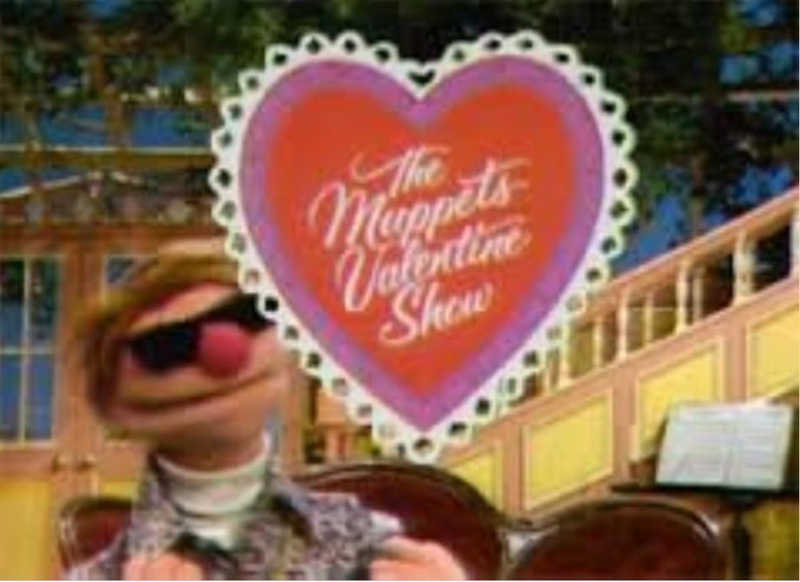 Much like the “back door” pilots for spinoffs from sitcoms, the Muppet pilot was cleverly shown as a television special, The Muppet Valentine Show and aired in 1974. Although enjoyable, it is strange to watch this special as it combines gags that we will see later in The Muppet Show with characters that disappear after this show airs. It reminds me of when I watched the pilot episode of Growing Pains that had a different actress in the role of Carol. It just seemed like a parallel universe to our own. The special is all about love. The host, Wally, has writer’s block while he is writing a screenplay about love. 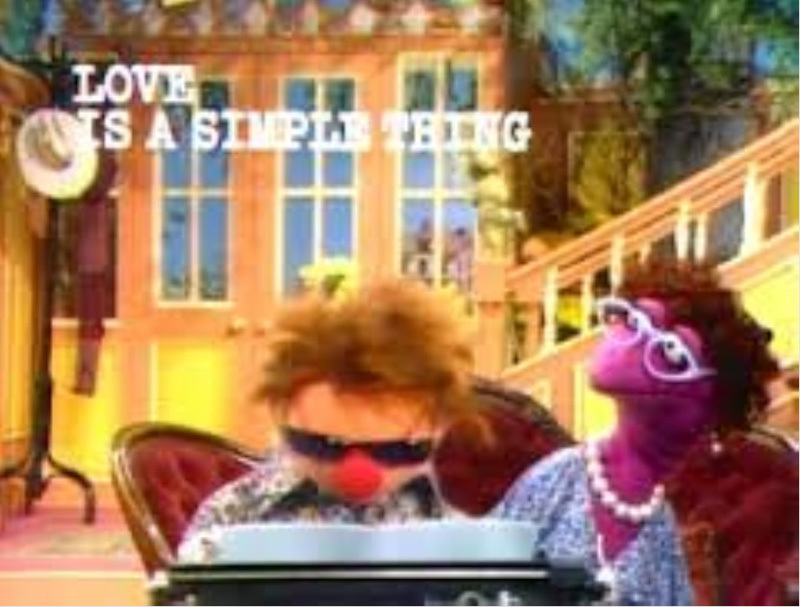 The Muppets jump in with songs and skits about love to try to inspire him. Kermit sings about when he “went a’courtin’” a mouse, George the Janitor sings about how he loves his mop, and the giant blue character Thog performs a song with special guest Mia Farrow about his first kiss. 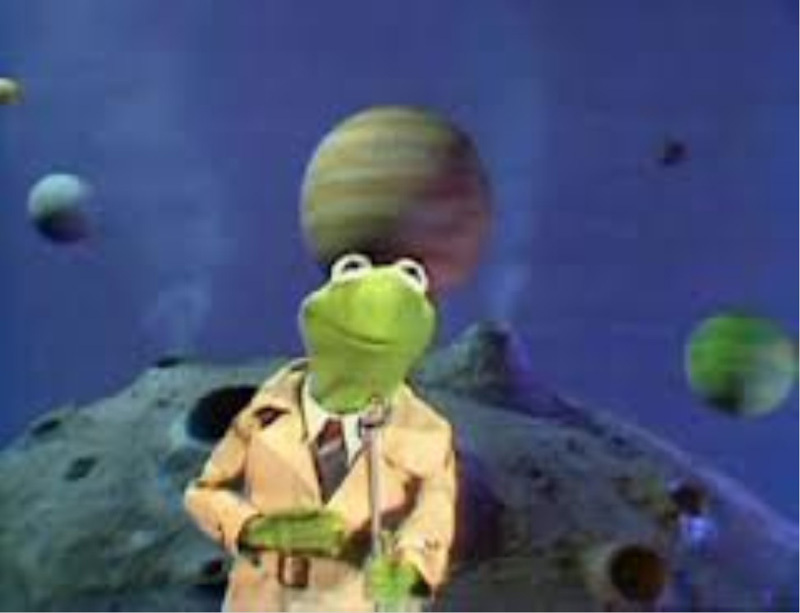 One of the best scenes in the special is a skit that almost feels that it were pulled directly from The Muppet Show, when Kermit, clad in is Sesame Street News Flash trench coat, reports from the planet Koozebane where aliens perform the mating ritual Galley-o-hoop-hoop. Original, brightly colored birds and aliens are typically featured in at least one skit of per episode of The Muppet Show. These characters often only communicate in syncopated skat singing or rhythmic sounds. 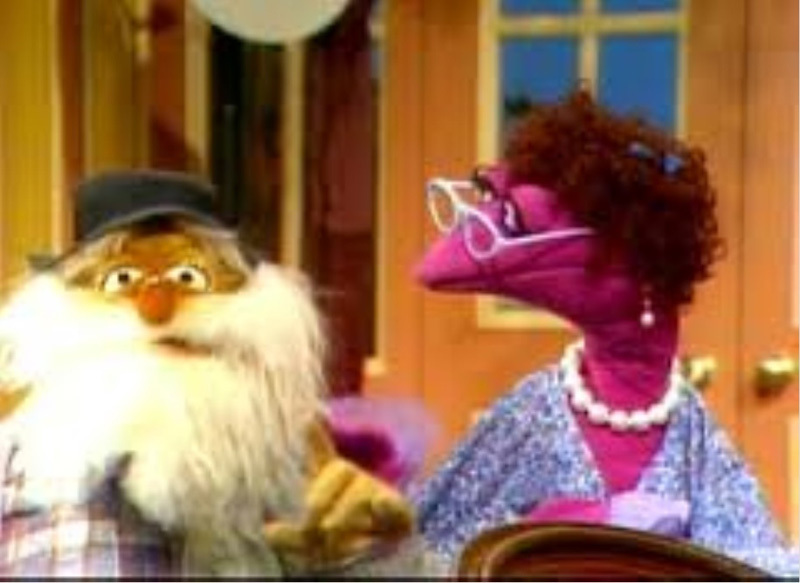 Muppet historians will recognize Thog and Droop from the Muppet Christmas special The Great Santa Claus Switch, the frogs from The Muppet Frog Prince and Rufus the dog from Hey! Cinderella as members of the main cast. Kermit, although present, takes a back seat to Wally who is also voiced by Jim Henson. Be sure to watch the final scene that leads into the closing credits carefully so you can catch glimpses of Rowlf, Bert, and Ernie in cameos. Muppet mainstays George the Janitor and Crazy Harry (named Crazy Donald) share some of the best jokes in this show. The mixture of original songs and old timey classics work well for the Muppets. Henson and company always had a talent for taking public domain songs and adding them with the visuals of the Muppets acting them out. It is just a timeless bit. If the show started to wane and the pacing slow down, Crazy Donald would appear seemingly out of nowhere with his dynamite plunger to blow something up. Explosions are just as much a tradition for the Muppets as music is! The part that did not work for me was Mia Farrow as the special guest. At the time, she had major star power. She was pregnant during the filming of this show. As it was a show about love, the visual of a noticeably pregnant woman helped reinforce that theme. It also would have been an easy gig for someone who was pregnant, too. I was pleasantly surprised that Farrow brought an enchanting singing voice to the show. Her wistful and subtle demeanor did not play off of the zany chaotic Muppets and situations well. A more comedic star would have meshed better with the characters. Carol Burnett would have been a perfect choice or perhaps Jo Anne Worley from Rowan and Martin’s Laugh-In could have played off the Muppets better. As Farrow interacts with the Muppets, there just isn’t a connection. You feel that she is amused by puppets instead of the comedy troupe called the Muppets. The interaction between the guest stars and the Muppets is what make the cameos and guest stars work so well. As an audience, you have to see how the stars and Muppets play to each other. Farrow gives the impression that she is looking at a puppet and thinking, “Oh how cute,” instead of trying to one up a fellow comedic actor. The duet between Farrow and Thog really slowed the pacing of the show. It lasted too long and featured the weakest Muppet character. Thog is simply a magnificently huge character. He is so large that his arms and ears are operated as marionettes. His eye mechanisms are strange. When looking forward, his eyes look in the same direction, but, over time, if he looks left or right, his eyes never match up. They roll around a bit. This seems intentional, but it grates on my nerves. The song itself is slow and lasts too long. Instead of a sugary sweet love song, I would have preferred a giant character that was eating Farrow or another character at the end of the skit. It is also fun when the guest stars become infatuated with a character and stalk them while the Muppet attempts to rebuff their advances. This skit was just safe and did not embody the fun Muppet chaos that it could have. Overall, this is a fun special that is worth a viewing. It is fun to think about how the Muppets could have been different if this format of the series were picked up by a network. It is also entertaining to see how the Muppet characters have evolved. Most of the puppeteers involved in this special will become the cast of the first season of The Muppet Show. Jane Henson, the wife of Jim Henson, returned to puppetry to work on this special. They had met in college and worked together on Sam and Friends, but she left show business to raise their children. This is one of the few times we get to see her talents. This special appears as an extra feature on the 2007 DVD release of The Muppet Show: Season Two. I rate it 2.5 rubber chickens!